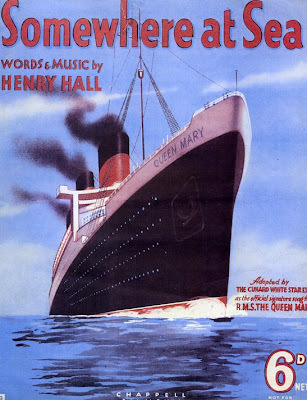 NEW LINER HEARD ON AIR; First Rebroadcast From the Queen Mary Is Made Here. Here you can hear a relay from Dutch radio broadcaster AVRO from the same year. Anyone care to translate? Also, this website contains a .pdf file of a book created by the Royal Naval Barracks at Portsmouth about the Queen Mary's wireless telegraphy equipment.